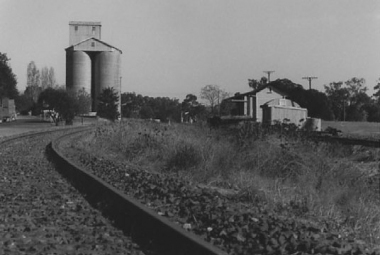 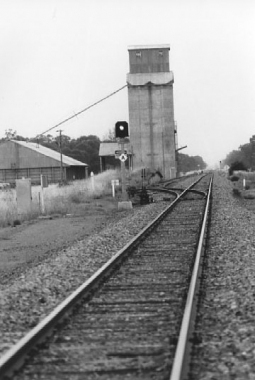 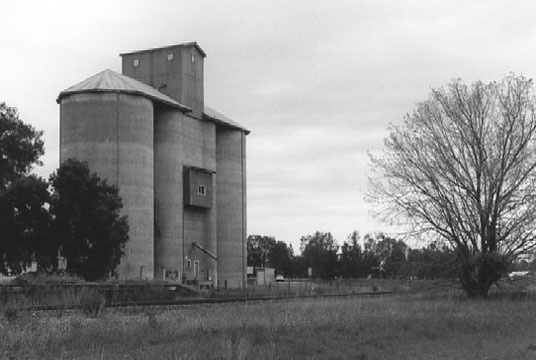 Moree to Inverell line ,abandoned. 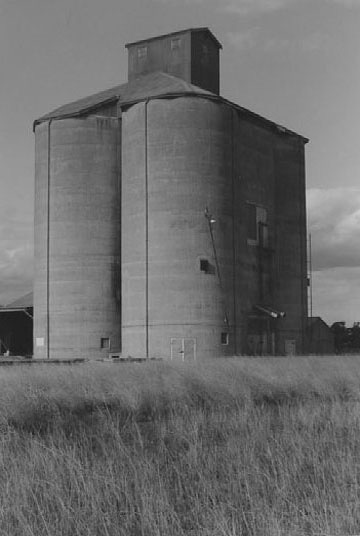 Original concrete silo type S041 [4100 tonnes capacity] built in 1934. 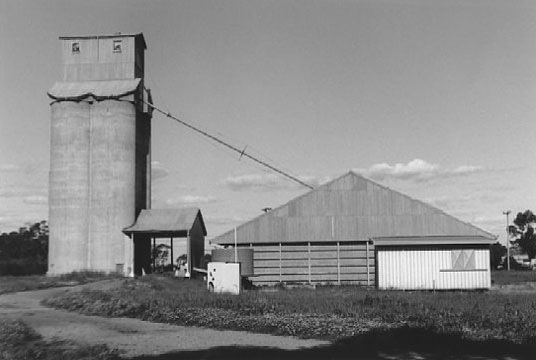 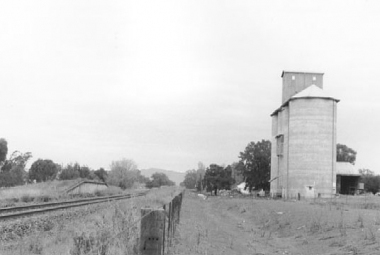 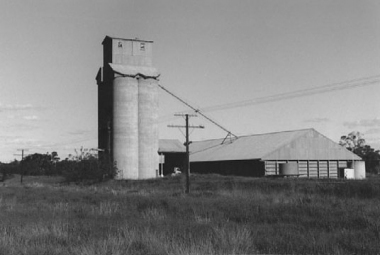 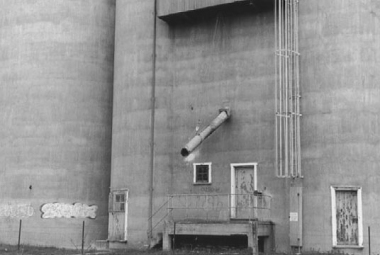 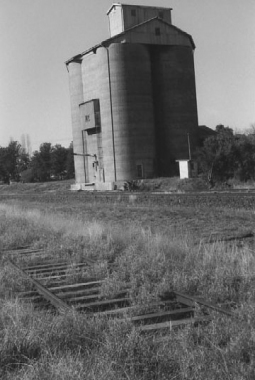 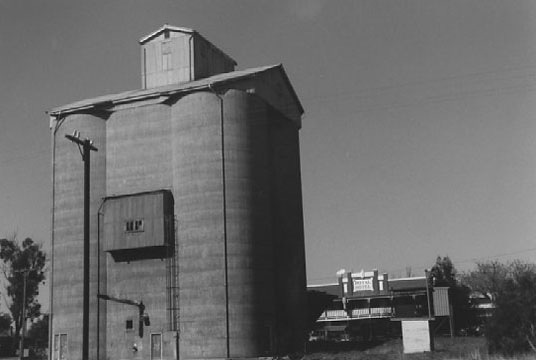 Also steel silo and large bulkhead;construction dates and capacities unknown. Original concrete silo type S008 [800 tonnes capacity] built in 1933. 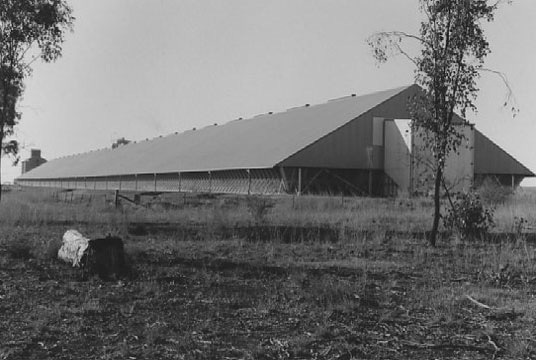 Construction date and capacity of bulkhead unknown. Located in main street in town,along with railway station. 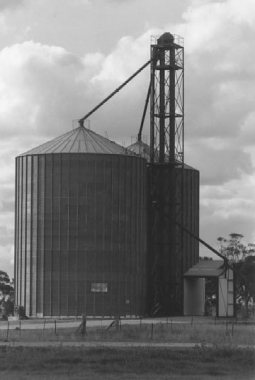 Concrete silo type S027 [2700 tonnes capacity] built in 1935. Main Northern line,operable but not to silo. Concrete silo type S024 [2400 tonnes capacity] built in 1934.